Soak beans overnight. Cook following day in pressure cooker for 25-30 mins depending on beans and pressure cooker. Cook onion, ginger and garlic in olive oil, then add tomatoes, herbs and bean stock, ie cooking water. When cooked, and cool, zap. 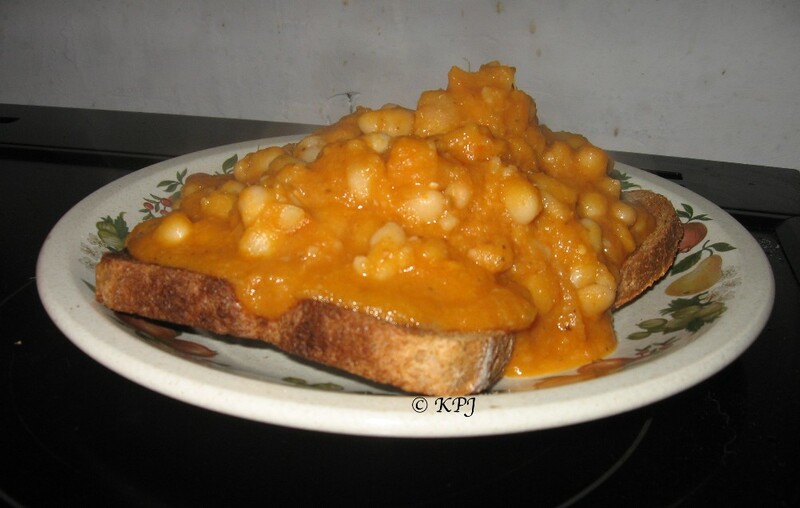 Add beans to finished sauce and warm up to put on toast. You and Clint Eastwood. I love For a Few Dollars More though. Lee Van Cleef is brilliant in that. The two best moments in the film are at the beginning when he stops the train at Tutan what’s it and at the end when Eastwoord appears with his watch for the duel. Yeah, he is old favourite for sure. Loved all his movies but can’t remember how it went. Saw them ages ago. :lol: Hubby and I have these ‘oldies’ nights on weekends. I think we must get some Clint Eastwood movies this weekend.